American Apparel racerback tank, Mango wide-leg pants (similar here), Larsson + Jennings Lader watch (also seen here), Chillibeans sunglasses, Canvas tote c/o Joy Gryson. All images shot by me and Isaac Lacey in Venice, Italy. 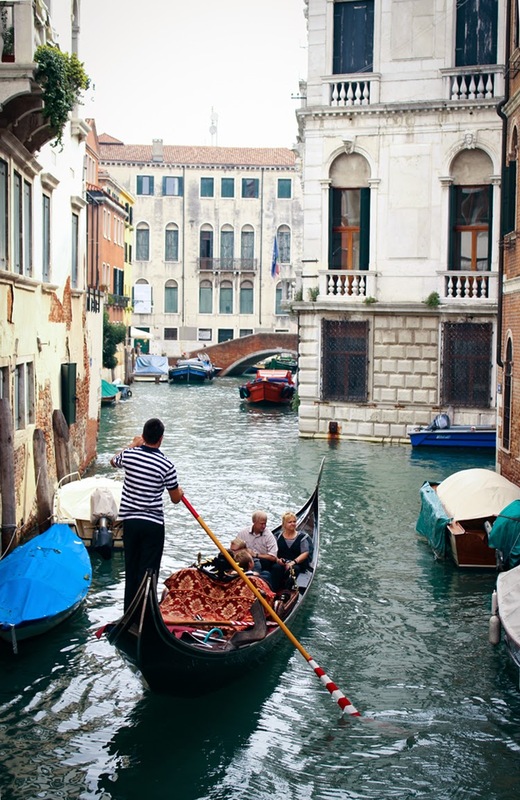 Is there anything more romantic than Venice, Italy? With it's tiny side streets, stunning canals, enchanting gondola rides and historic charm it's easily one of the most picturesque places in the world. We decided to spend the day in the floating city for the first leg of our Italian getaway, so we flew into Venice airport, took a bus for about 6 euro to the train station, checked our bags at the station for the day, and spent the rest of the afternoon meandering around the city: aka drinking Amaro and Limoncello and stumbling around all its sites. Hope my little photo journal above gives you a little glimpse into the magic of it all! My top tip if you ever visit? Just go for the day. The city is beautiful, but overall a bit overpriced and touristy compared to Italy's other offerings, a few of which I'll be sharing with you in my next posts! 1. Looking out onto a small side canal upon arriving in Venice. Since we came straight from our flight, I opted for a comfortable, casual look in wide leg pants, an easy tank, and this Joy Gryson carryall which was perfect for stashing everything from my purse to my camera. 2. Isaac appreciating the sites. 3. 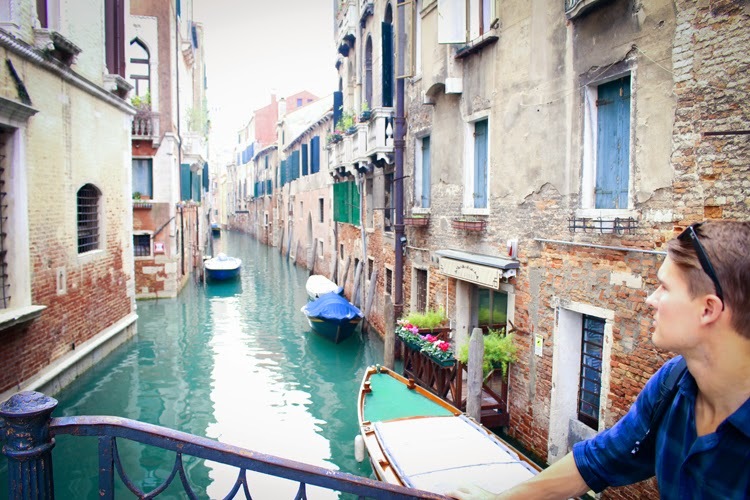 Another charming image of a gondolier on the canals - he was actually transporting two newlyweds. 4. 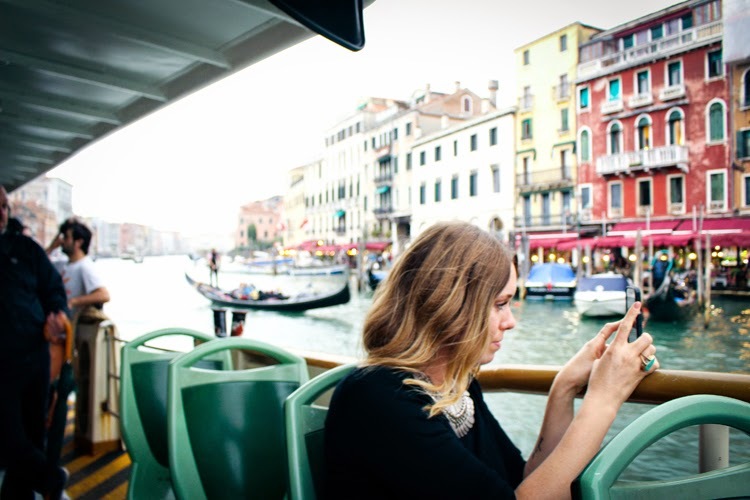 Taking in the view from the Rialto bridge over the Grand Canal wearing Chilli beans sunglasses. 5. A snap I took of our travel partners in crime for the trip, our styling and awesome friends Tomas and Kara. 6. Taking a pit stop near a colorful canal. 7. Walking across the flooded (and crowded!) Piazza San Marco. 8. Having a moment with Kara at the edge of the Grand Canal, rocking her awesome Deux Lux backpack. 9. Enjoying our water taxi ride through the city. 10. 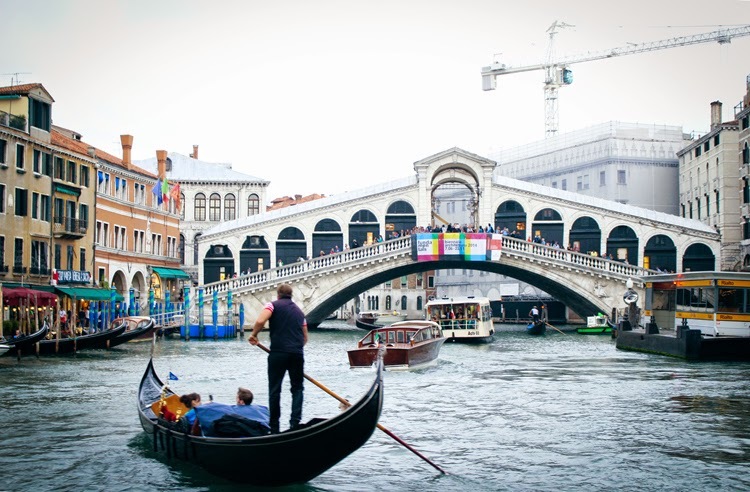 A view of the famous Rialto bridge from our water taxi. LOVE this post! I've been and desperately want to go back! Just gorgeous! Oh I love Venice! Such a great city. Perfect travel photos! 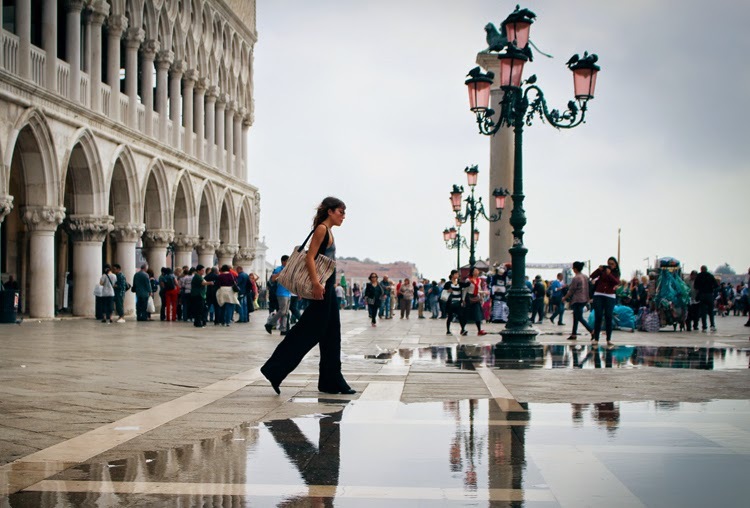 I always dreamed of travelling in that breath-taking place, Venice! Looking super chic in those wide leg pants! Lovely pictures, Venice is Amazing! The pants on the first (i.a.) picture is great, makes it a chic outfit!